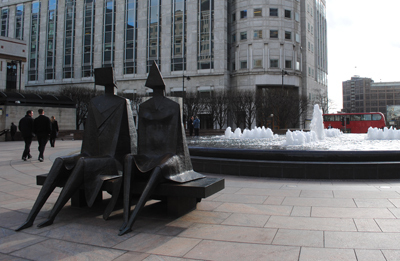 Couple on seat, Cabot Square, Canary Wharf. The much wondered at (who are the couple? ; why do their heads have such odd shapes?) 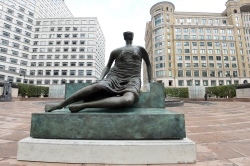 bronze sculpture is by Lynn Chadwick (2000).